The Department of Homeland Security (DHS) announced plans to immediately launch a new policy to force asylum-seeking migrants to wait in Mexico for their immigration court hearing. Officially labeled the “Migrant Protection Protocols” but more commonly known as “Remain in Mexico,” this sweeping change to how people access the asylum process could lead to catastrophic results. Asylum seekers along the southern border could be made to wait months or longer in Mexico despite the country’s increasing levels of violence and instability. For example, in 2018, the murder rate in Mexico increased by 33 percent over the previous year. Last December, two Honduran teenagers were brutally killed in Tijuana while staying at a migrant youth shelter. Apart from the danger migrants face, the details of how the policy will be implemented remain largely unclear—including how individuals waiting in Mexico will obtain access to U.S. attorneys trained in U.S. immigration and asylum law. It is also not certain when the policy will become active border-wide. Upon arrival those subject to the new plan will be returned to Mexico with a “Notice to Appear,” requiring them to return to the United States for an immigration court hearing at a later date. The process continues to be difficult from there. In order to actually find out the specified date of their hearing, they will need to dial into a toll-free U.S. number (which may or may not work from Mexico) and U.S. authorities will then bus them to a courthouse for their hearing. Court proceedings involve multiple hearings, but media reports indicate that the U.S. government intends for a first hearing to take place within 45 days and that proceedings would be completed within one year. 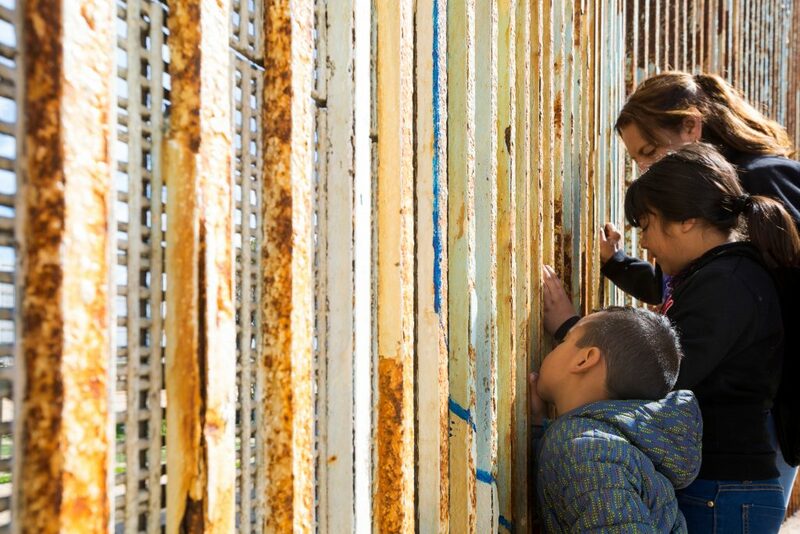 Unaccompanied children and Mexican nationals will not be subject to the policy and other “vulnerable individuals” would be considered on a “case-by-case basis.” However, families with children could very well face return and a prolonged stay in Mexico. According to senior DHS officials, the plan will be piloted at the San Ysidro port of entry, adjacent to Tijuana, Mexico. The plan will start with the return of 20 migrants from Central America who all had temporary visas in Mexico. The San Ysidro border crossing is the busiest in the country and is already strained given the arrival of a migrant “caravan” of over 6,000 mostly-Honduran migrants in December. DHS has already been operating a “metering” system to queue and slowly process the asylum seekers that wait there and is being sued for turning away asylum seekers across the southern border. The policy was first unveiled in December by Homeland Security Secretary Kirstjen Nielsen, a move many called unilateral. At that time, the Mexican government responded by announcing plans to issue humanitarian visas for asylum seekers to work and remain in Mexico while they await their hearing. There are still no details about whether any government or non-governmental entity would provide humanitarian aid and housing to potentially tens of thousands of migrants stranded there. Before this plan was announced, most migrants at the southern border were placed in an expedited removal process by Customs and Border Protection (CBP) officers, and then taken into custody for a screening by an asylum officer to determine whether they had a fear of return to their home country. If so, they were scheduled for an asylum hearing before an immigration judge. Remain in Mexico is a dramatic and dangerous shift in U.S. immigration policy that will place asylum seekers at grave risk of harm. The Trump administration is creating yet another unnecessary crisis and offering up harmful solutions that benefit no one.